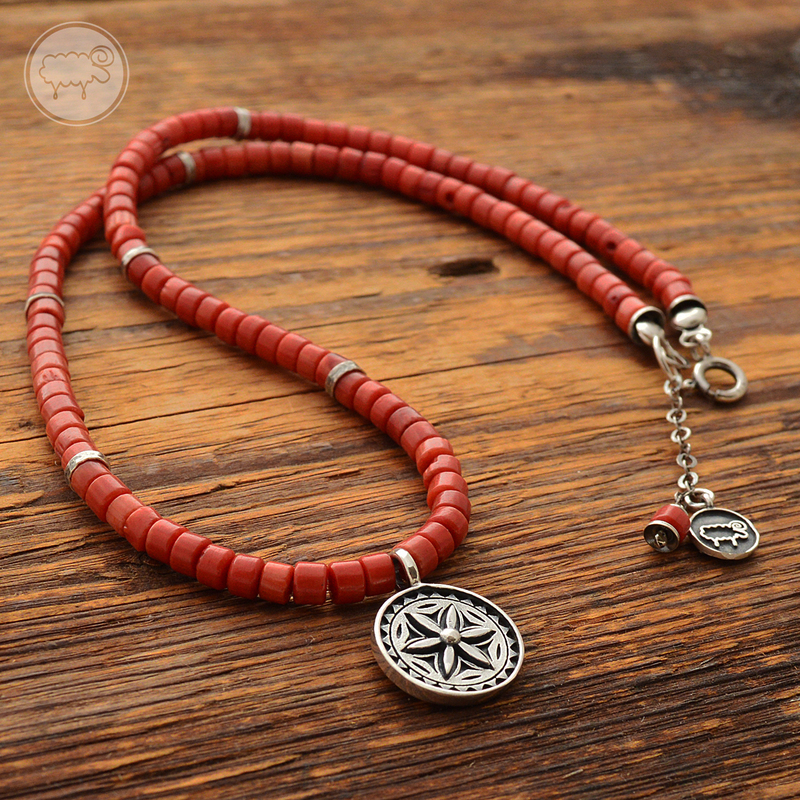 Highlander’s necklace made of silver (925 fineness) and natural coral stone. 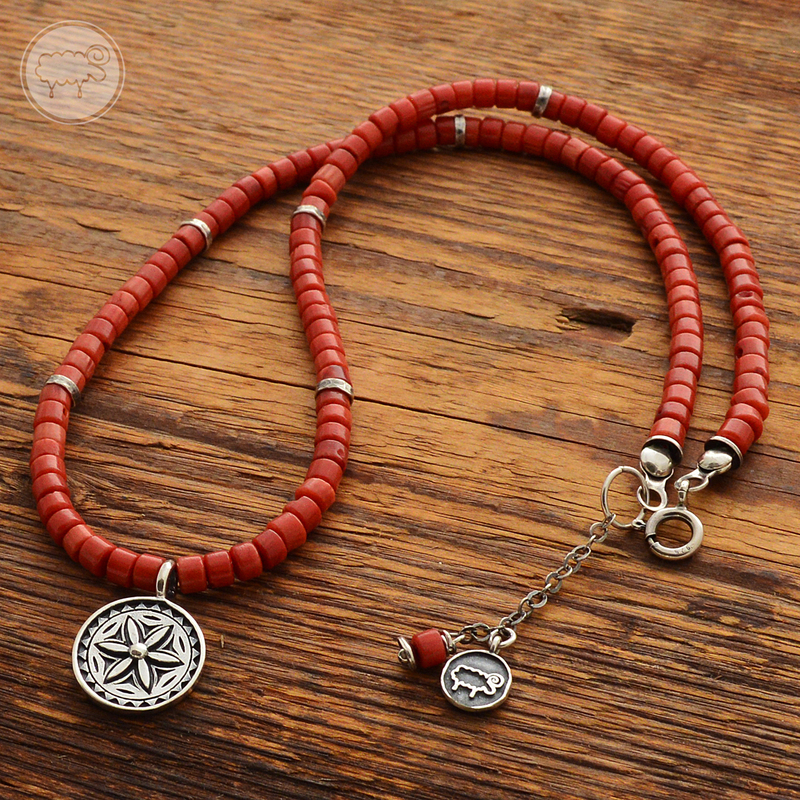 A silver rosette with a diameter of 14 mm suspended on a string of natural corals. Fastening decorated with coral stone. Silver was hand-oxidized and polished. The jewellery is packed into a fancy box. 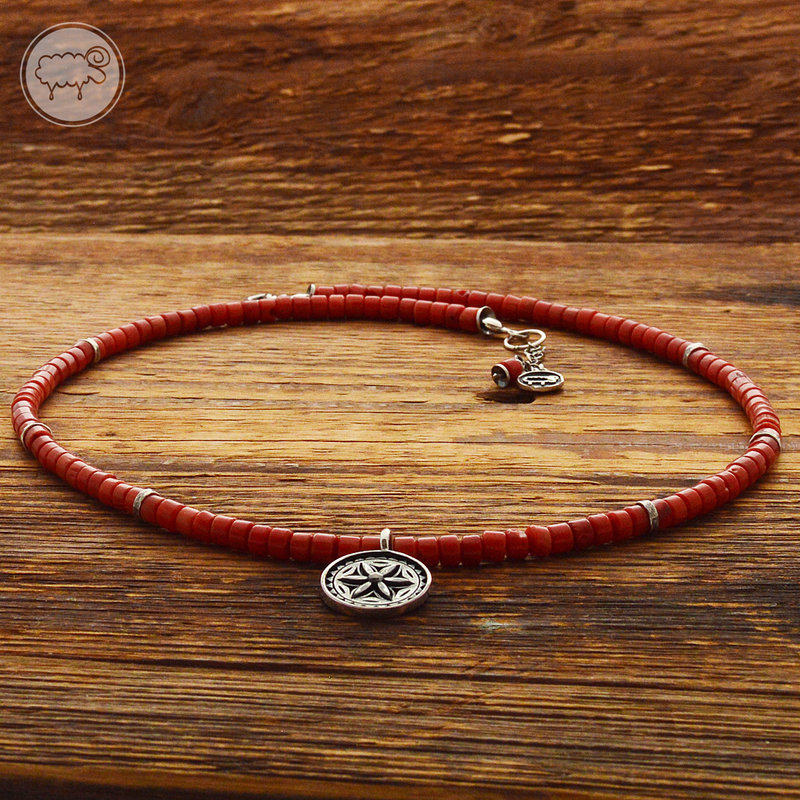 All the projects of jewellery are of our authorship. It is 45 cm long.